Would you benefit from an experienced eye looking at your small business or non-profit marketing? 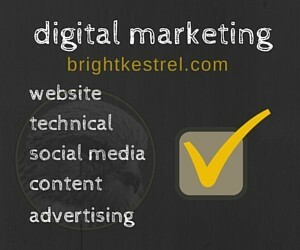 Sign up for a digital marketing checkup! We will ask you about your goals, intended audience and the resources you have available. Then we will look at your website, content, advertising, social media, videos, and the tracking to have in place. We’ll report back to you where your greatest opportunities for improvement exist. We’ll also tell you where you shouldn’t waste your time. This is NOT a just a report generated by an online tool telling you there are lots of errors in your SEO. Your analysis will conducted by Matt Keough, who has extensive expertise with both large and small businesses. He has more than 15 years of hands-on “real world” experience implementing digital marketing plans. The outcome of the audit will be recommended tactics to reach your strategic goals. We’ll help you decide what your highest priorities should be and recommend next steps, identify where you need help and what can be accomplished within your budget.